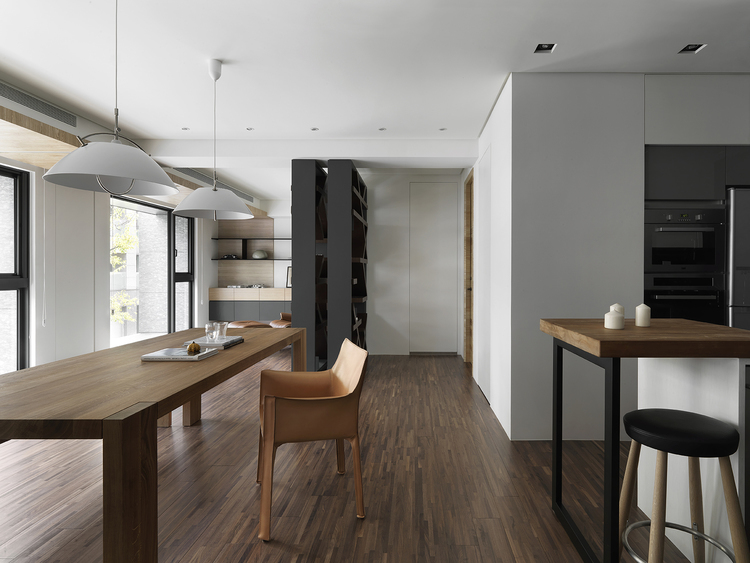 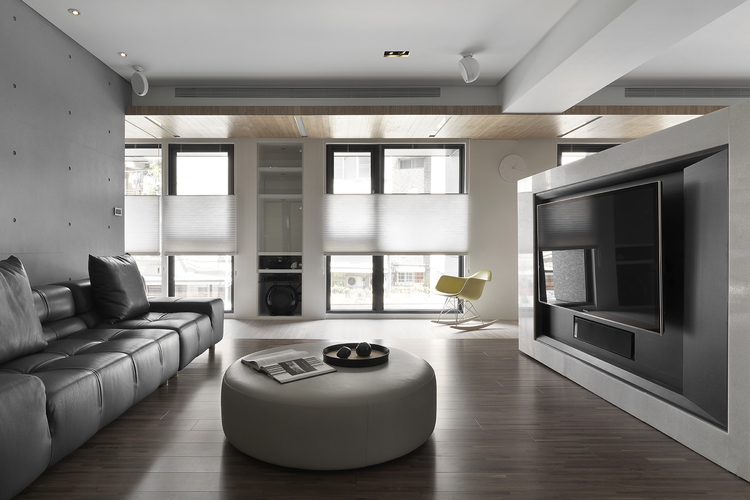 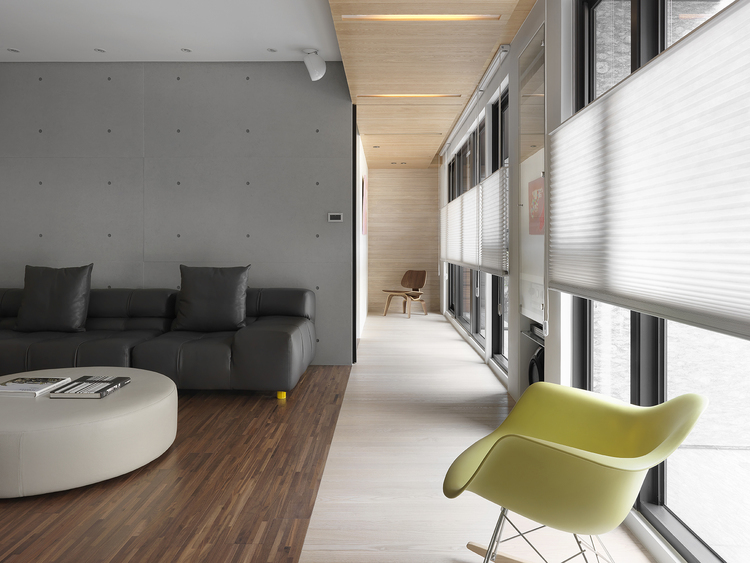 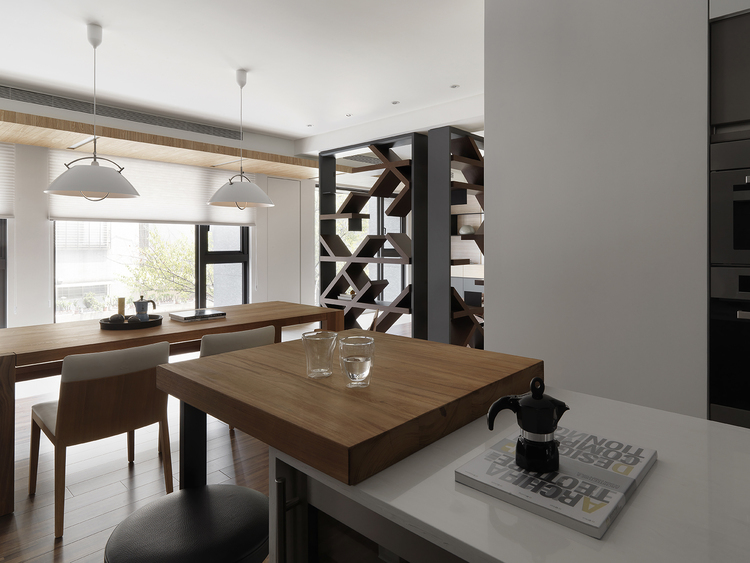 This residential project is located on a quiet lane in Taipei City. 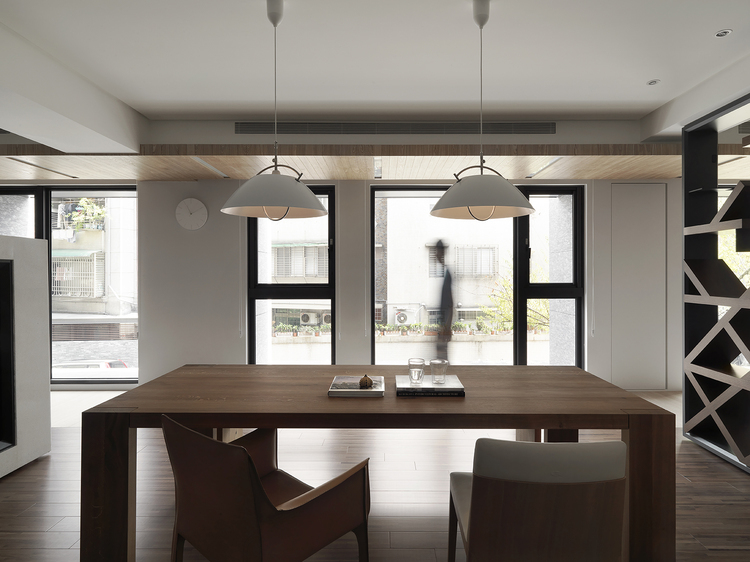 On the second floor of the building, the view outside is at a perfect height to watch over the bushy tree tops and peak through the quaint streetscape. 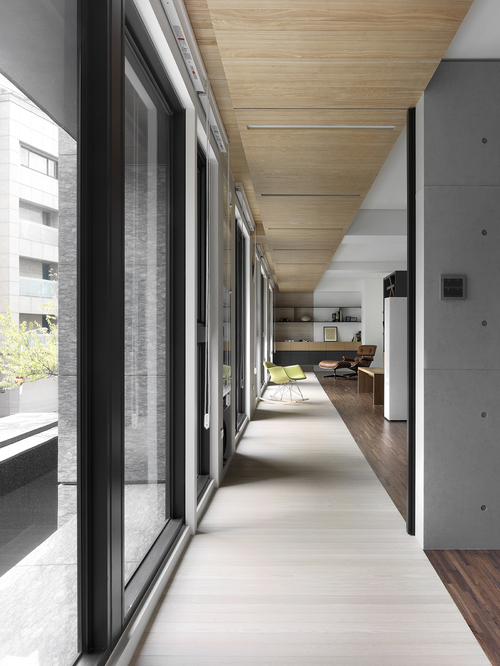 In a bustling urban setting, greenery and natural light are valuable commodities, so we asked ourselves how to maximize the relationship between inside and outside? 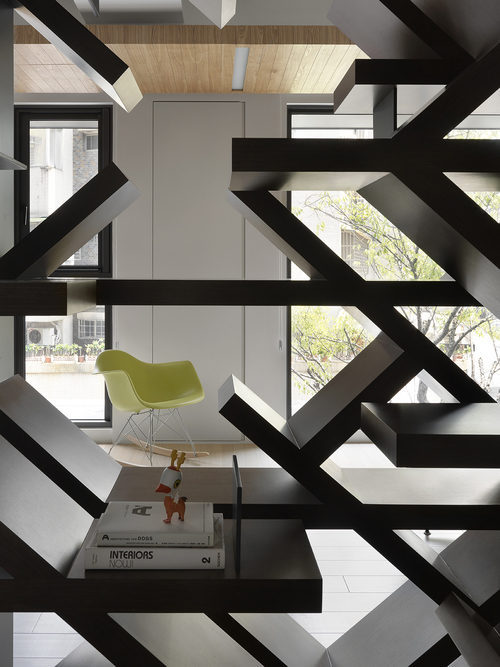 In this project, we aimed to create the connection between the interior and the outside world by rethinking the circulation of the space. 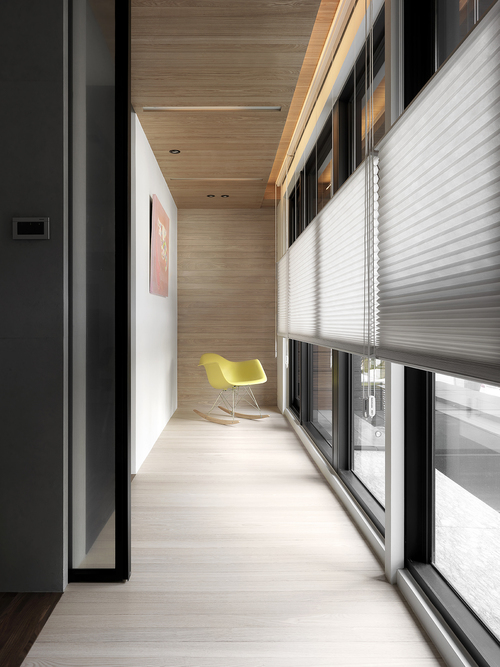 We have arranged a hallway by the window which become the center of the space. 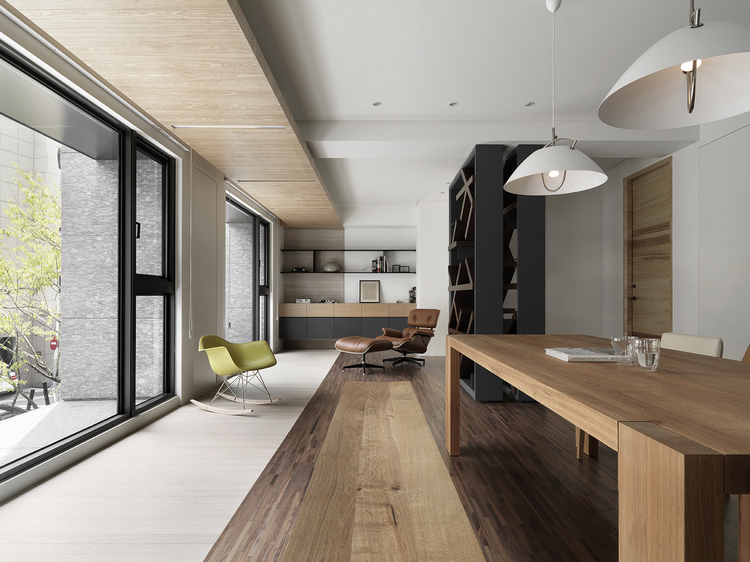 It connects up the vision of the house, and also strings all segments together - study, dining room, living room, bedroom, and the outside environment. 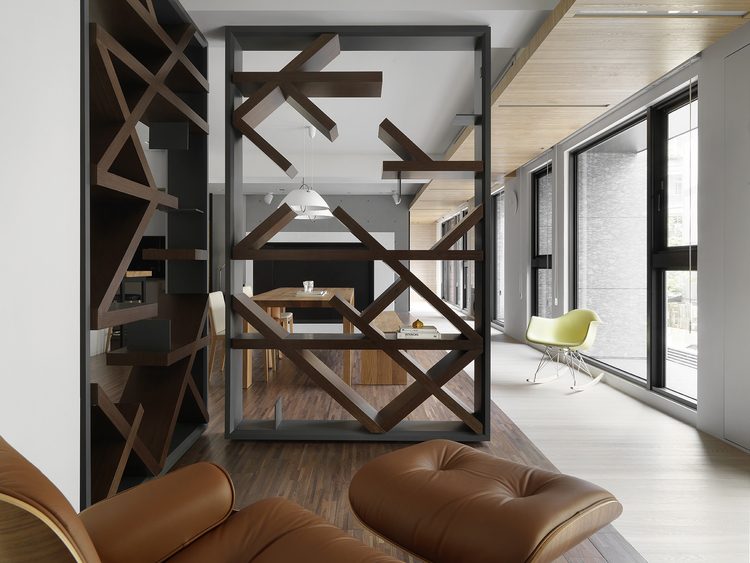 Furthermore, to create flexibility and openness within the entire space - we designed a rotatable bookshelf and the spinning television wall as a movable divisions between different zones. 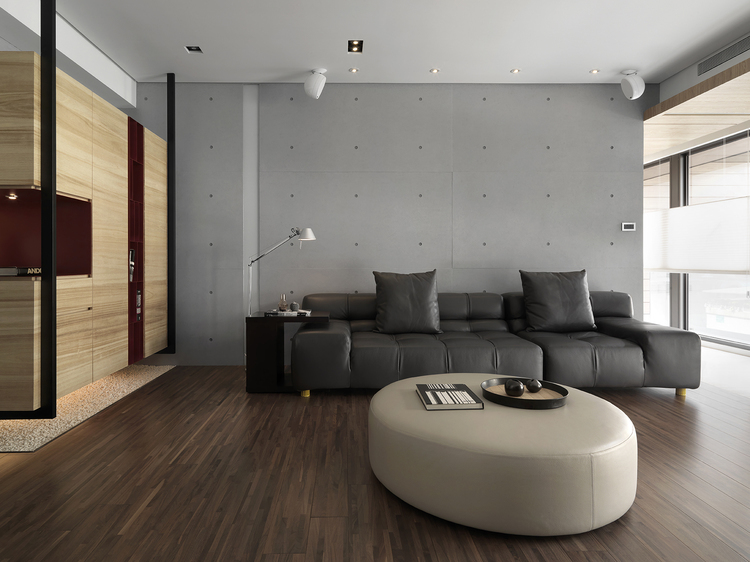 This not only defines every area but also creates multi-functionality of each. 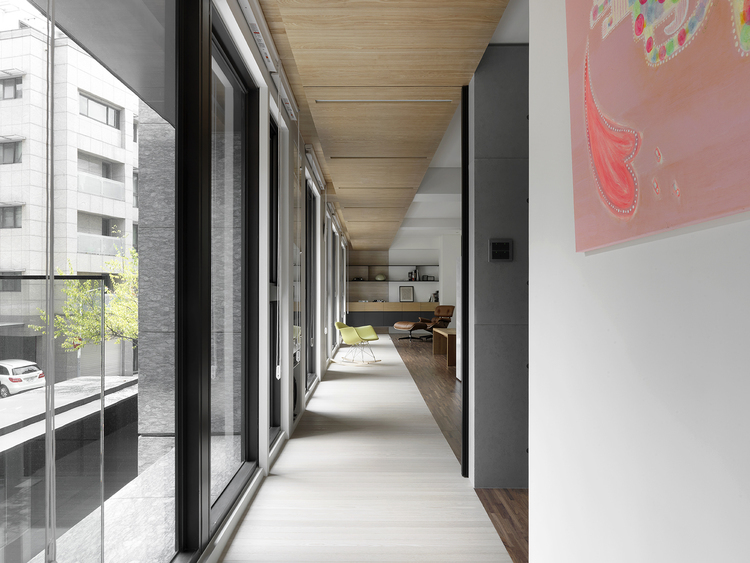 Thus the hallway is able to bring the city green into life, create the intimacy between human and surroundings, and also change the way of interaction amongst family members.